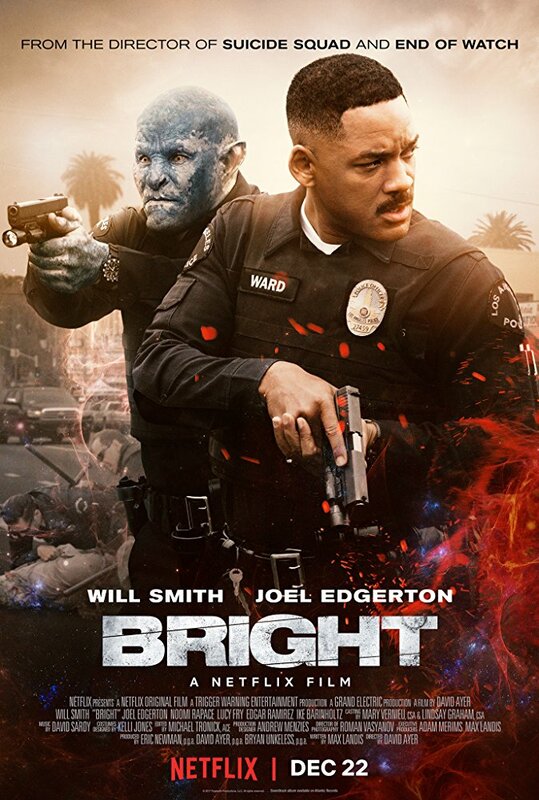 So far Bright has been both loved and hated by viewers and critics. It has been about as divisive for viewers as The Last Jedi or mother! has been this year. One thing that can now be agreed upon is that a lot of people watched it, to the tune of 11 million U.S. viewers in its first three days. Nielsen recently began measuring Netflix's viewership on TV's, not on any other devices. The ratings company announced the numbers today, noting that the data is different from other SVOD ratings releases such as season 2 of The Crown and Stranger Things. The average minute U.S audience was 11 million TV viewers, with 3.9 millions viewers aged 18-34 and 7 million aged 18-49. The gender split was 56% male. The numbers have to be significantly higher when factoring in viewers who stream Netflix from other devices. The streaming giant is obviously satisfied with the film, as they have already committed to a sequel. Netflix paid $3 million for the script and $90 million to completely produce the film. The fantasy film was written by Max Landis, directed by David Ayer, and stars Will Smith, Joel Edgerton, Noomi Rapace, Edgar Ramírez, Ike Barinholtz, and Brad William Henke. It premiered on Netflix on December 22, 2017. You can read our review here.